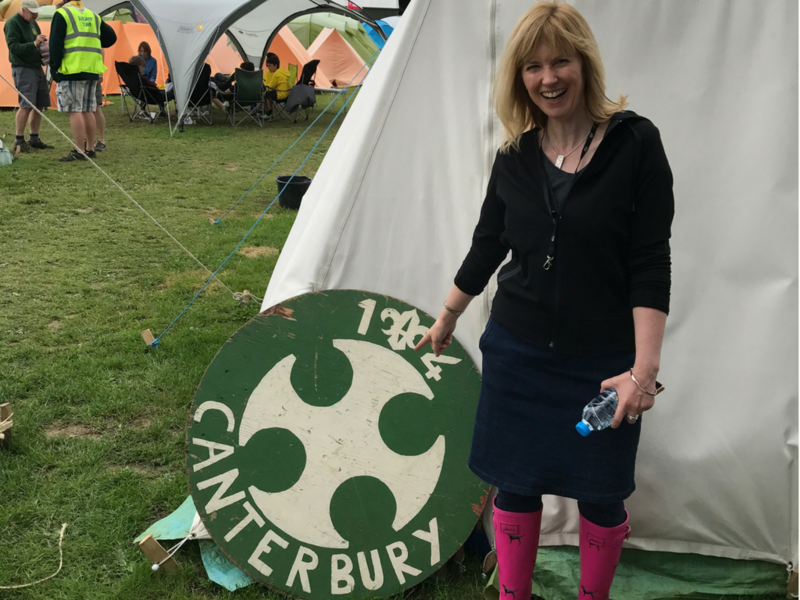 Rosie was thrilled to visit the Kent International Jamboree in Detling yesterday, joining over 6500 young people from Kent and the wider world. 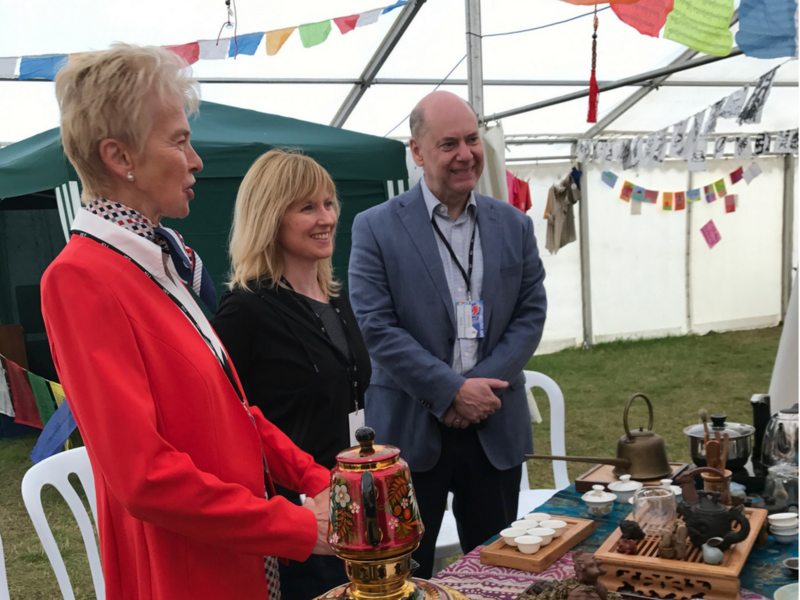 It was superb to see such an array of activities on offer, from your more traditional scout camp-based skills to rock climbing, off-road driving, a huge science fair, ice skating and laser tag. There were learning tents too where scouts could observe traditions and crafts from other cultures. There were also topical stands, where scouts could learn about refugees or the threats to the world eco-system. Rosie got involved meeting troops from Canterbury and the villages. 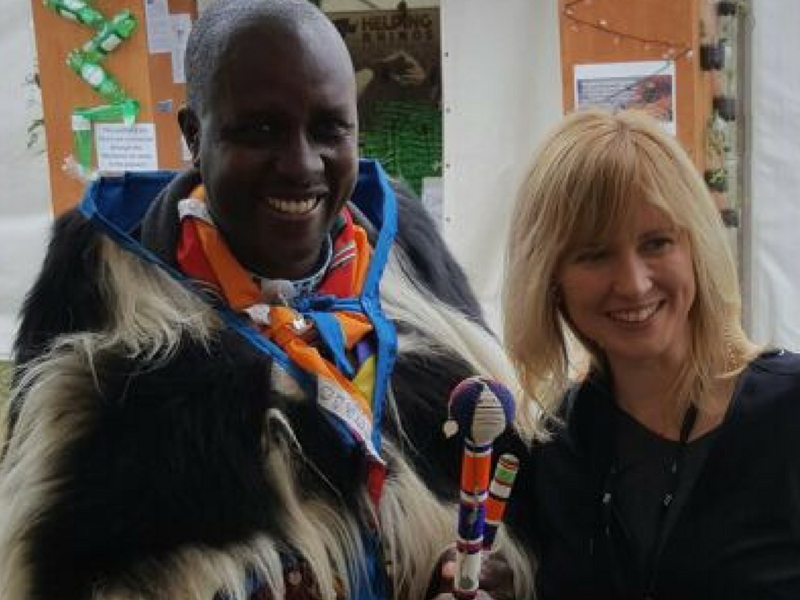 She also met Chief Joseph of the Maasai people of Kent and discussed the importance of cross-cultural relations and experiences for Kent’s young people. 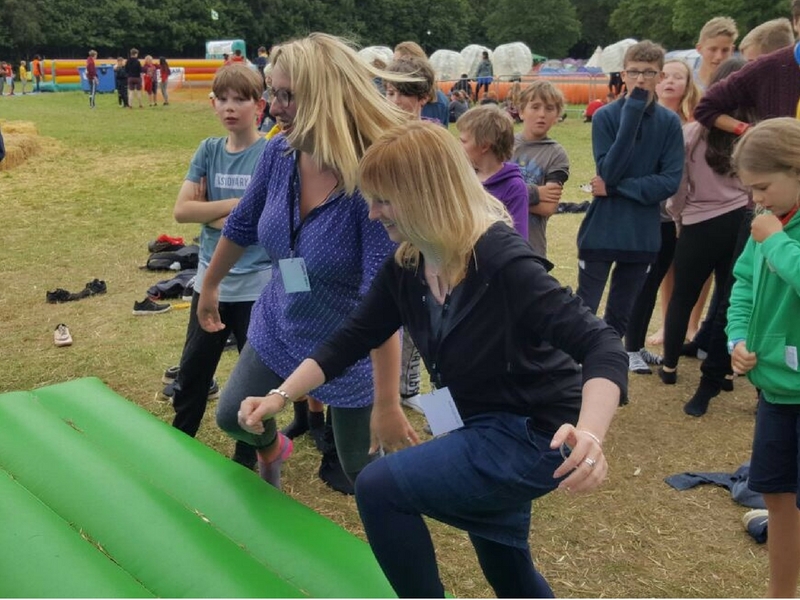 Finally, despite being overtaken by many scouts, she completed a half kilometre-long inflatable assault course – surely a rare feat for any MP! Rosie was delighted to support the Jamboree. 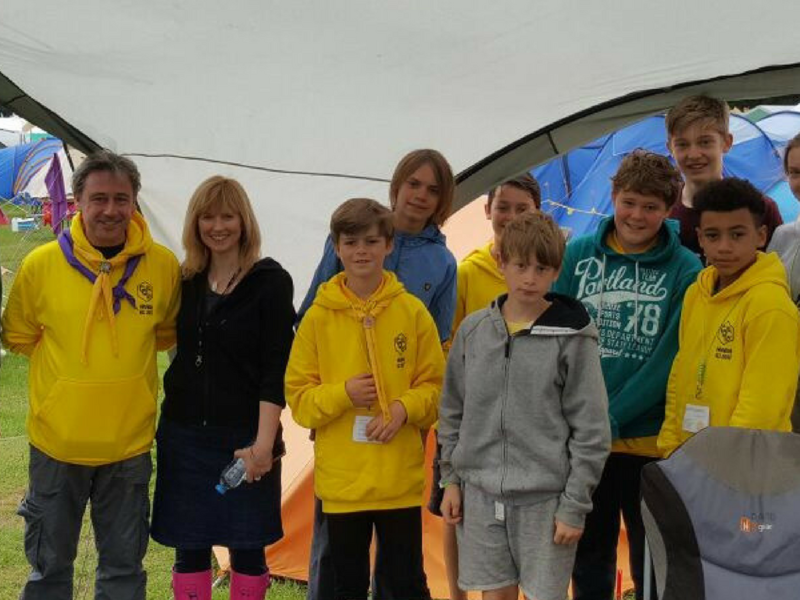 As traditional education continues to be subject to the squeeze of the Conservative government’s poor funding and the pressures of tick-box Ofsted inspections, non-curricular opportunities such as those offered by the Kent scouts are vital. 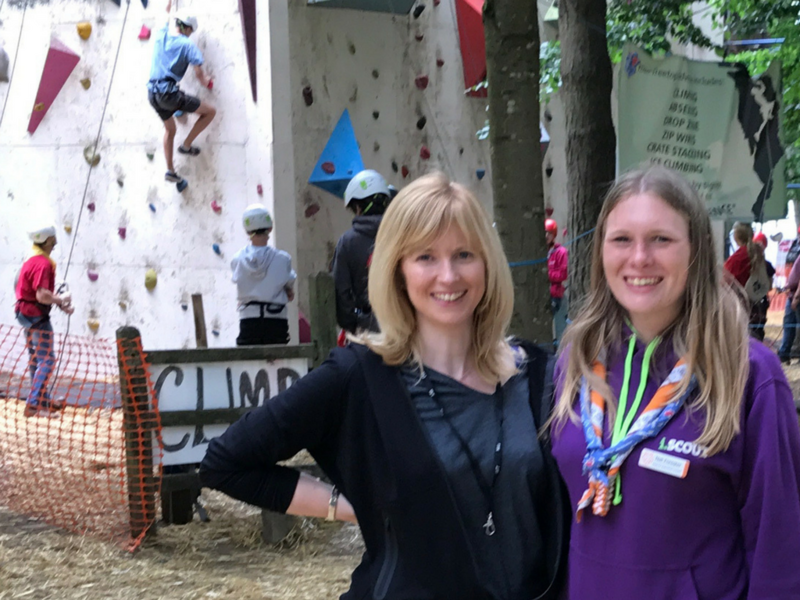 Rosie believes that all children should have access to opportunities such as these and was encouraged to hear from many scouts how they had fundraised to ensure that all members of their troops that had wanted to attend the Jamboree could do so. The adult volunteers that had given up their time to make the Jamboree happen were also an inspiration. Rosie supports all those who give willingly of their time to make their communities more vibrant and exciting, and to those who give their time to help communities under pressure. To all the scout leaders, school governors, community centre volunteers, and all unsung volunteer heroes, Rosie says a big ‘thank you’. Rosie has been appointed by the Labour Party to serve on the House of Commons’ Womens & Equalities Sub Committee. The sub committee was set up in 2015 to hold the Government’s Equalities Office to account and is chaired by Maria Miller MP. The equalities office is responsible for equality strategy and legislation across government. 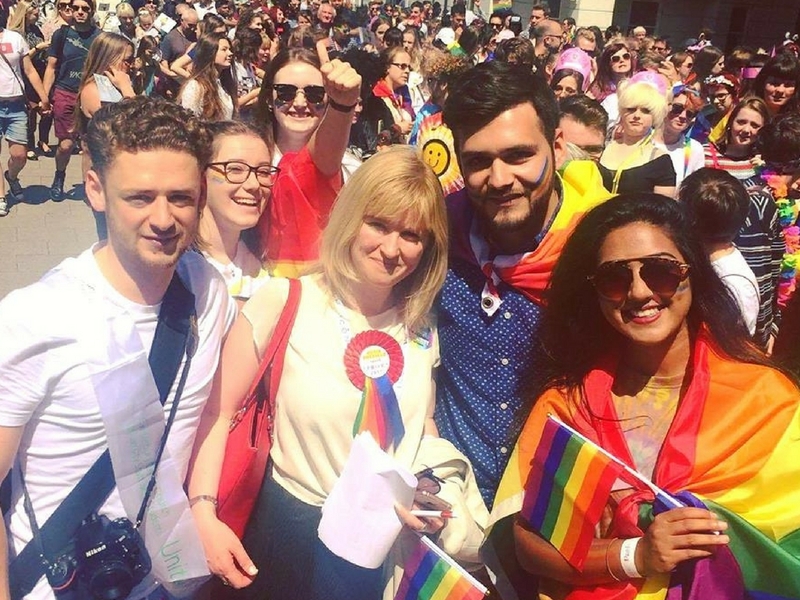 It takes action on the governments to remove barriers to equality and help to build a fairer society, leading on issues relating to women, sexual orientation and transgender equality. It’s priorities include helping women to fulfil their potential in the workplace and helping businesses get the full economic benefit of women’s skills; eliminating the Gender Pay Gap (GPG) by introducing regulations requiring larger employers to publish their gender pay data and addressing the discrimination and inequalities that LGB&T people face, particularly in schools. Committees are a large part of the work of the House of Commons; they consider policy issues, scrutinise the work and expenditure of the government, and examine proposals for primary and secondary legislation. Her name will now go forward to be voted on by the House of Commons.